Holy Communion Of Churches | "Bringing The Ancient Faith To A Modern World"
We’re not Jewish, but we are Ancient Faith Orthodox. We are not Roman, but we are Catholic meaning Universal. We are not Denominational, we are Pre-Denominational. The Holy Communion Of Churches (HCOC) is a community of churches, seeking to discover and follow Christ in thought, word, and deed in our generation. The HCOC is a bridge that provides introduction and access to the ancient apostolic faith between the worlds of Traditional Orthodoxy and post-modern Christian spirituality. 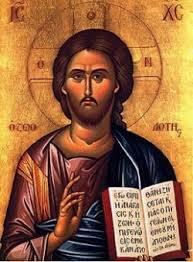 Without question, The HCOC accepts the Eastern Orthodox Churches as the patristic origin of the Christian faith. However, the road home for non-Orthodox believers can be difficult when attempting to overcome nationalistic and cultural barriers found in the eastern communions. Having received connection with the apostolic fathers through the succession of the Apostles, The Holy Communion of Churches patterns its approach to Christianity after that of the Eastern and Oriental Orthodox Church’s while remaining reverent and relevant to the western American culture. Christ gave the Church simplistic and elemental provision by which all men of every tribe and tongue could partake of Him and His Kingdom on earth as it is in heaven. God, being no respecter of any specific person or culture, has provide all people with the opportunity to become a part of His family by grace through faith in His Son, Jesus Christ. We follow God’s call that His Church might be one (John 17:21) by expressing our core beliefs around the convergence of the three major streams of the Church which are Evangelical, Liturgical and Pentecostal. Our highest priority is the cooperative fulfillment of the Great Commission. The particular union of these streams is left to the discretion of the bishop and/or pastor of the local church. We are Pentecostal, allowing for expressive praise, signs, wonders, an indwelling of the Holy Spirit, personal spiritual growth, holiness and everyone’s individual call to ministry. We are Liturgical, We value the sacraments (Baptism, Communion, Laying on of Hands, Repentance, Marriage, Anointing with Oil), encourage the use of the Creeds, and encourage the use of a liturgy (public worship) based on biblical and historic traditions. We are Evangelical, stressing salvation by faith in the atoning death of Jesus Christ through personal conversion, the authority and inerrancy of the Bible, the necessity of evangelism at home and abroad, the ministry of the believer, and the importance of Spirit-anointed preaching. The HCOC lays no claim on canonical perfection or pedigree, but trusts in the person of the Holy Spirit, the Holy Scriptures, and our pursuit of Holy Tradition to lead us into all doctrinal and theological truth as we humbly seek unity with all believers as we follow Christ Jesus. The futility of dogmatic discussions and arguments can bear no good fruit and only leave the Christian community divided and discouraged. Anyone who has received Jesus Christ as Lord by faith and sincerely seeks eternal life in God’s Kingdom is welcomed with the open arms of fellowship.